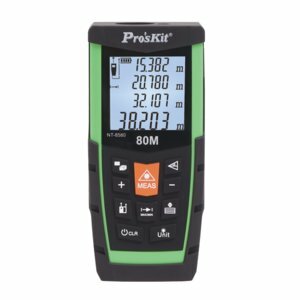 Distance meters allow measuring the distance from one given point to another quickly and accurately. For example, distance meters can measure the distance of the room from wall to wall and determine the area and the volume of the given room. 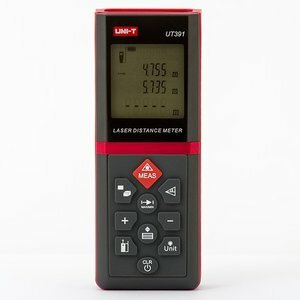 Compact and useful distance meter that uses laser light waves instead of ultrasonic, and measures its reflection to accurately determine distances. Measurement distance: 0.1 ~ 60 m.
Area and volume calculation. LCD without backlight. Range:0.55 - 18.288m (2-60ft). Accuracy: 0.5% +1 digit (2-60ft). 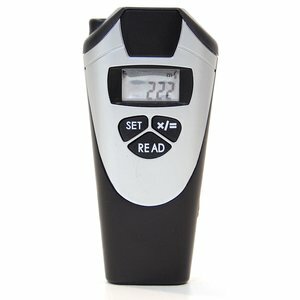 Perfect for realtors, builders, and anyone who needs a measurement or room's area quickly. Measurement distance: up to 80 m. Area, Volume measurement, Indirect measurement by Pythagorean Theorem.